Are you a BMW owner? Have you ever wondered how you could personalise your car with the least amount of effort? At Primo Registrations, you can customise your piece of German engineering with our unique BMW number plates. If you love your BMW, then read on! The German manufacturer that everyone today knows by their logo started out by producing aircraft engines. In 1918, after WWI, the terms of the Versailles Armistice Treaty forced BMW to stop their production of aircraft engines. From 1923, the company started focusing on motorcycle production, as well as car production since 1928. Now, the story of BMW’s logo is where things get a bit confusing. People think that the BMW logo is based on an aircraft airscrew. This comes from the cover of a BMW aircraft engine magazine from 1929. In reality, BMW assumed all the business segments of a previous aircraft engine manufacturer in Germany, namely Rapp Motorenwerke. Rapp underwent numerous changes and later became BMW, which wanted their new logo to be oriented on Rapp’s old logo. Rapp’s logo had a black horse inside a circle, with “RAPP” written at the top and “MOTOR” at the bottom of the circle. BMW changed the colours of the logo to those of the Bavarian National flag and put the BMW lettering at the top. When you show your friends those awesomely personalised number plates on your lovely BMW, you can also give them a brief – and CORRECT – history lesson about the blue, white and black logo. Whether you’re showing your love and care for the environment while driving a fresh, luxurious, sporty BMW i8, or you’re more of a melancholic, old-soul type, driving an E3 from the ‘80s, with Primo Registrations (www.primoregistrations.co.uk) you can find any reg plate you can think of for your daily driving. While it won’t pack as much of a punch as a new paint-job, a fresh pair of BMW number plates will surely make your friends ask you what’s new about your car. Of course, a customised number plate adds personality and style to your vehicle. It makes it stand out - even in the slightest of ways. If you are a car-fanatic or someone who appreciates the little things in life, then a customised BMW number plate is definitely worth the investment. You read that right. That's not all, keep in mind that we also have the lowest prices for BMW number plates. To get your personalised number plates, just use the search bar at the top of our website. It’s the easiest way to find what’s available and what’s not, along with the price for individual number plates for your BMW. …means lots of BMWs, because there is a high demand from customers who want to buy those BMWs. We provide you with unique reg plates that will instantly refresh the looks of your car. No hassle. Just use our site to search for the plate you need and, once you find what you’re looking for, place your order – either online or by telephone. 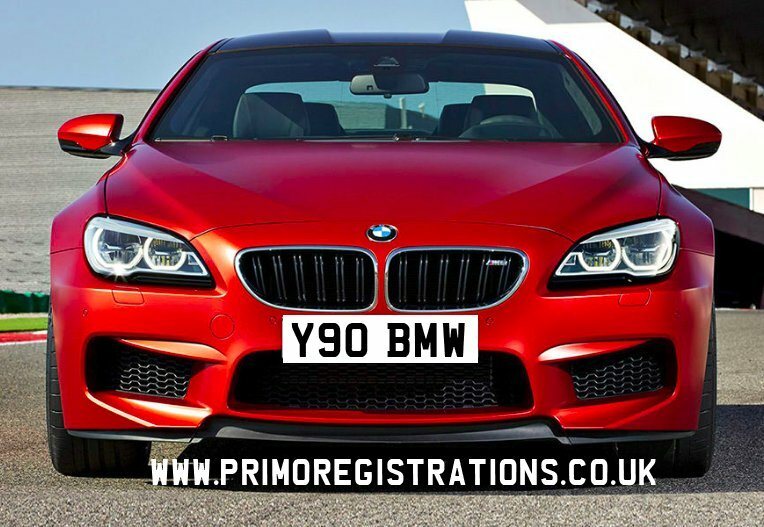 Regardless of what type of BMW you drive, you’ll find the right plates for you at Primo Registrations. For more free info, get in touch today!